11/07/16 Toyota motor engineering & manufacturing (toyota) is recalling certain model year 2009-2012 rav4 vehicles manufactured october 27, 2008, to december 19, 2012 and 2012-2014 rav4 ev vehicles manufactured july 24, 2012, to august 29, 2014. in the affected vehicles, water may drip onto the joint that connects the wiper linkage to the wiper motor. 11/25/15 Toyota motor company (toyota) is recalling certain model year 2009-2011 tundra, sequoia, corolla, corolla matrix and scion xb, 2008-2011 highlander and highlander hybrid, 2007 camry and camry hybrid, 2009 camry and camry hybrid, 2006-2011 rav4, 2006-2010 yaris, and 2009-2010 scion xd and pontiac vibe vehicles. during the manufacturing of the power window master switch (pwms), grease lubricant may have been inconsistently applied to the sliding electrical contacts. 08/21/15 Toyota motor engineering & manufacturing (toyota) is recalling certain model year 2004-2005 toyota rav4 vehicles manufactured may 13, 2003, to october 25, 2005. the affected vehicles are equipped with a dual-stage driver frontal air bag that may be susceptible to moisture intrusion which, over time, could cause the inflator to rupture. 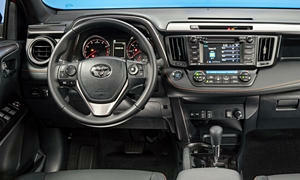 Toyota will notify owners, and dealers will replace the driver's frontal air bag, free of charge. owners were mailed an interim notice june 17, 2015. the recall began on august 21, 2015. owners may contact toyota customer service at 1-800-331-4331. 10/27/14 Toyota is recalling certain model year 2006-2008 rav4, 2006-2010 yaris, 2008-2010 highlander, and 2009-2010 tacoma, corolla, corolla matrix and general motors pontiac vibe vehicles. in the affected vehicles, the steering column assembly contains electrical connections to the driver's airbag module housed in a spiral cable assembly, which includes a flexible flat cable (ffc). due to the shape and location of the ffc's retainer, the ffc could become damaged when the steering wheel is turned. 03/28/14 Toyota is recalling certain model year 2012 and 2013 toyota tacoma and lexus rx350 vehicles and certain model year 2012 toyota rav4 vehicles. in the affected vehicles, the brake system contains a brake actuator that adjusts the fluid pressure of each wheel cylinder. an electrical component within the actuator may experience an increased resistance resulting in the illumination of various warning lights, including those for the vehicle stability control (vsc) system, antilock brake system (abs), and traction control system. If this occurs, these systems could become inoperative, reducing the directional control assistance, increasing the risk of a crash. Toyota will notify owners, and toyota and lexus dealers will update the software for the skid control electronic control unit, free of charge. the recall began on march 28, 2014. owners may contact toyota at 1-800-331-4331. 11/05/12 Toyota is recalling certain model year 2007-2009 camry, camry hybrid, rav4, corolla, corolla matrix, tundra, sequoia, highlander, highlander hybrid, yaris, scion xb, scion xd and pontiac vibe vehicles. the power window master switch assemblies in some of these vehicles were built using a less precise process for lubricating the internal components of the switch assemblies. irregularities in this lubrication process may cause the power window master switch assemblies to malfunction and overheat. 05/04/16 Brakes and Traction Control Toyota motor engineering & manufacturing (toyota) is recalling certain model year 2016 toyota rav4 vehicles manufactured october 30, 2015, to february 3, 2016, 2016 lexus rx350 vehicles manufactured october 26, 2015, to february 8, 2016, and 2016 lexus es350 vehicles manufactured september 1, 2015, to february 29, 2016. these vehicles are equipped with an abs actuator that may have a damaged o-ring which could result in improper brake fluid pressure control during abs, traction control, or stability control activation. as such, these vehicles fail to comply with the requirements of federal motor vehicle safety standard (fmvss) number 126, "electronic stability control systems." 03/28/14 Brakes and Traction Control Toyota is recalling certain model year 2012 and 2013 toyota tacoma and lexus rx350 vehicles and certain model year 2012 toyota rav4 vehicles. in the affected vehicles, the brake system contains a brake actuator that adjusts the fluid pressure of each wheel cylinder. an electrical component within the actuator may experience an increased resistance resulting in the illumination of various warning lights, including those for the vehicle stability control (vsc) system, antilock brake system (abs), and traction control system. 10/03/16 Suspension and Steering Toyota motor engineering & manufacturing (toyota) is recalling certain model year 2006-2011 toyota rav4 vehicles manufactured october 31, 2005, to september 7, 2010, and 2010 lexus hs250h vehicles manufactured july 6, 2009, to august 26, 2010. the affected vehicles have rear suspension arms (rear tie rods) with adjusting lock nuts that may have been improperly tightened after servicing. as a result of being loose, the arm may have thread damage and may rust, possibly leading to the failure of the arm and an abrupt change in the vehicle's alignment. 05/07/15 Suspension and Steering Toyota motor engineering & manufacturing (toyota) is recalling certain model year 2015 camry, camry hybrid, highlander, and highlander hybrid, and 2014-2015 rav4 vehicles. a component of the electric power steering (eps) electronic control unit (ecu) may have been damaged during the manufacturing process. over time, this damage may result in failure of the electric power steering system. 08/27/13 Suspension and Steering Toyota is recalling certain model year 2006 through 2011 rav4 and 2010 lexus hs250h passenger vehicles manufactured from october 2005 through september 2010. if the nuts for adjusting the rear wheel alignment are improperly tightened during service, the rear suspension arm (rear tie rod) may develop unwanted movement and rust leading to thread damage and eventual failure. failure of the rear tie rod will cause an abrupt change in the vehicle's alignment. 11/30/12 Suspension and Steering Toyota is recalling certain model year 2006 through 2011 rav4 and 2010 lexus hs250h passenger vehicles manufactured from october 2005 through september 2010. if the nuts for adjusting the rear wheel alignment are improperly tightened during service, the rear suspension arm (rear tie rod) may develop unwanted movement and rust, leading to thread damage and eventual failure. failure of the rear tie rod will cause an abrupt change in the vehicle's alignment. 03/17/15 Electrical and Air Conditioning Southeast toyota distributors, llc (set) is recalling certain model year 2013-2015 toyota rav4 vehicles manufactured june 1, 2013, to december 29, 2014, and equipped with an accessory trailer light module. the software within the module may incorrectly detect an electrical short and preventively turn off the electrical current and the trailer lights. 01/29/15 Electrical and Air Conditioning Southeast toyota distributors, llc (set) is recalling certain model year 2010-2011 prius and corolla, 2009-2011 venza, 2006-2010 avalon, 2007-2010 fj cruiser, 2005-2011 sienna and sequoia, 2006-2011 tacoma 4x2 and 4x4, camry, highlander, tundra 4x2 and 4x4, and 2007-2011 rav4 and 4runner. the affected vehicles may experience compression of the seat cushion which may damage the seat heater wiring. 03/08/12 Electrical and Air Conditioning Toyota is recalling certain model year 2011 rav4 vehicles, manufactured from november 24, 2011, through december 19, 2011. in the curtain shield airbags, propellant with the incorrect specification was used for the initiator assembled in the airbag inflator. in this condition, the inflator may not perform properly, causing one or both curtain shield airbags to not deploy. In the event of a crash, the airbags may not deploy and will not be able to properly protect an occupant, increasing the risk of injuries. Toyota will notify owners, and dealers will check the vehicle identification number to identify the curtain shield assemblies and replace the assemblies as necessary with new ones free of charge. 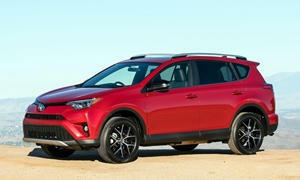 the safety recall began on march 8, 2012. owners may contact toyota at 1-800-331-4331. 01/09/12 Electrical and Air Conditioning Toyota is recalling certain model year 2008 highlander, highlander hybrid, and model year 2007-2008 rav4 vehicles. in the curtain shield airbag (csa) system, there are two sensors in the airbag sensor assembly which are designed to detect vehicle roll angle. if one of these sensors malfunctions, the airbag warning light (malfunction indicator light: mil) will illuminate and the roll detection system will be suspended; however, the airbag csa remains available in the event of a side crash. if both sensors fail nearly simultaneously after initial airbag system check, the csa and the seat belt pretensioner could be inadvertently activated. Toyota safety recall no. boe-b1e.owners may also contact the national highway traffic safety administration's vehicle safety hotline at 1-888-327-4236 (tty 1-800-424-9153), or go to http://www.safercar.gov . 02/05/10 Electrical and Air Conditioning Toyota is recalling certain model year 2005-2010 avalon, model year 2007-2010 camry, model year 2009-2010 corolla, corolla matrix, rav4, model year 2010 highlander, model year 2008-2010 sequoia, and model year 2007-2010 tundra vehicles. due to the manner in which the friction lever interacts with the sliding surface of the accelerator pedal inside the pedal sensor assembly, the sliding surface of the lever may become smooth during vehicle operation. in this condition, if condensation occurs on the surface, as may occur from heater operation (without a/c) when the pedal assembly is cold, the friction when the accelerator pedal is operated may increase, which may result in the accelerator pedal becoming harder to depress, slower to return, or, in the worst case, mechanically stuck in a partially depressed position. The accelerator pedal may become hard to depress, slow to return to idle, or, in the worst case, mechanically stuck in a partially depressed position, increasing the risk of a crash. Dealers will install a reinforcement bar in the accelerator pedal which will allow the pedal to operate smoothly. gm will notify owners for the pontiac vibe please see 10v-018. this service will be performed free of charge. the safety recall is expected to begin on february 5, 2010 and will be completed on march 15, 2010. owners may contact toyota at 1-800-331-4331. Toyota safety recall no. aoa. owners may also contact the national highway traffic safety administration's vehicle safety hotline at 1-888-327-4236 (tty 1-800-424-9153), or go to http://www.safercar.gov . 04/06/06 Electrical and Air Conditioning On certain vehicles, due to improper assembly of the air bag inflator, which is used in the side air bag, the curtain shield air bag, and the knee air bag assembly, some inflators were produced with an insufficient amount of the heating agents necessary for proper air bag deployment. in this condition, the expansion force of the gas may be insufficient to properly inflate the air bag when the srs system is activated during a crash. This may increase the risk of injury to the occupant in the involved seating position in the event of a crash. Dealers will replace the specific srs air bag. the recall began on april 6, 2006. owners may contact toyota at 1-888-270-9371, scion at 1-866-548-1851, or lexus at 1-800-255-3987. Toyota recall no. 60b and lexus recall no. 6lb.customers may contact the national highway traffic safety administration's vehicle safety hotline at 1-888-327-4236 (tty: 1-800-424-9153); or go to http://www.safercar.gov. 01/23/18 Other Toyota motor engineering & manufacturing (toyota) is recalling certain 2017-2018 toyota 4runner and tundra, 2018 toyota highlander, rav4 and lexus gx460 and 2017 toyota sienna and tacoma vehicles. these vehicles may have incorrect load carrying capacity modification labels. as such, these vehicles fail to comply with the requirements of federal motor vehicle safety standard (fmvss) number 110, "tire selection and rims." 06/15/17 Other Gulf states toyota, inc. (gulf states) is recalling certain 2017 4runner , 86, avalon, camry, camry hybrid, corolla, corolla im, highlander, highlander hybrid, prius, prius c, rav4, rav4 hybrid, sienna and yaris vehicles. the spare tire air pressure was not adjusted to the proper pressure as stated on the tire pressure label. 06/24/16 Other Toyota motor engineering & manufacturing (toyota) is recalling certain model year 2006-2012 rav4 vehicles manufactured july 28, 2005, to december 19, 2012, and 2012-2014 rav4 ev vehicles manufactured july 24, 2012, to august 29, 2014. in the event of a frontal collision, the rear seat belts for the outboard seats may be cut by the seat cushion frame. 06/03/16 Other Southeast toyota distributors, llc (set) is recalling certain model year 2016 toyota yaris, rav4, land cruiser and 4runner vehicles, and scion fr-s, im, and tc vehicles manufactured january 28, 2016, to march 14, 2016. the load carrying capacity modification label may not reflect the correct added weight of the installed accessories. as a result, these vehicles fail to comply with the requirements of federal motor vehicle safety standard number 110, "tire selection and rims for passenger cars." 03/17/15 Other Southeast toyota distributors, llc (set) is recalling certain model year 2013-2015 toyota rav4 vehicles manufactured june 1, 2013, to december 29, 2014, and equipped with an accessory trailer light module. the software within the module may incorrectly detect an electrical short and preventively turn off the electrical current and the trailer lights. 02/23/15 Other Southeast toyota distributors, llc (set) is recalling certain model year 2014-2015 toyota 4runner, tacoma, fj cruiser, land cruiser, rav4, scion frs, and xb vehicles. the affected vehicles may have accessories installed by set, such as running boards or other items, that were incorrectly installed. the accessory attaching fasteners were not tightened with the proper torque, possibly causing the accessory to detach from the vehicle. 09/18/09 Other Toyota is recalling 27,080 model year 2005 through 2010 passenger cars built from september 1, 2005 to may 4, 2009. these vehicles were not equipped with load carrying capacity modification labels which fails to conform with the requirements of federal motor vehicle safety standard no. 110, "tire selection and rims."